With the government publishing data too late, in a format you can’t easily analyse, and with so few details as to be almost meaningless, the sad answer is: not quite yet. Flickr/The Sport Review. Some rights reserved.Corruption has been getting a lot of attention recently. 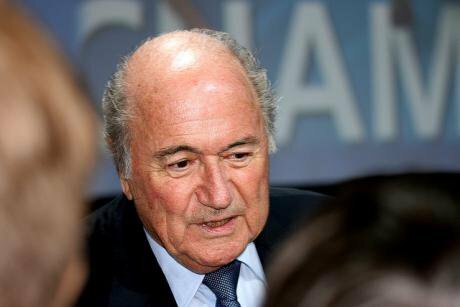 Who could have ignored the sheer scale and brazenness of what’s been alleged at FIFA? The total value of bribes involved is yet to be determined, but estimates suggest it could go into tens of millions of dollars, possibly even hundreds of millions, all spanning over many decades. When announcing the charges the US Attorney General, Loretta Lynch, said the indictment alleges corruption that is “rampant, systemic, and deep-rooted”. The sad thing about this story is that many football fans had suspected widespread wrongdoings for a long time, and the most surprising thing was that someone had finally done something about it. The scandal prompted David Cameron to call on world leaders to tackle the “cancer” of corruption that is “the archenemy of democracy and development”. Although his interest in the cause can only be welcomed, we have relied on reactive measures for too long to cure this disease. What we need is some preventative medicine, with sunlight as the first line of defence. Unfortunately, despite the government’s commitment to transparency and tackling graft, its performance so far has been, by analysis, inadequate. Back in 2010, the Prime Minister recognised that lobbying abuse – the corruption of our political process by money and self-interest – was “the next big scandal waiting to happen”. Over the next five years there were a string of lobbying incidents hitting the headlines. These included questions over the conduct of Liam Fox and his associate Adam Werritty; Lord Blencathra breaching Parliamentary rules by lobbying Parliament on behalf of the Cayman Islands; Patrick Mercer allegedly receiving payments to ask questions in Parliament; and Tim Yeo standing down as Chairman of the Climate Change Committee after allegedly offering energy companies advice in exchange for cash. Despite “the next big scandal” happening again and again, it took until 2014 for the government to finally bring forward legislation to introduce a statutory register of lobbyists. Even then the legislation has fallen way short of the mark: the scope of the act is too narrow (it doesn’t cover in-house lobbyists), the register doesn’t provide enough detail to be of much use, and it’s published in a format that is decidedly unhelpful to those wanting to analyse it or link it with related datasets. The result is we’re still no clearer about the extent or nature of lobbying activity in the UK. 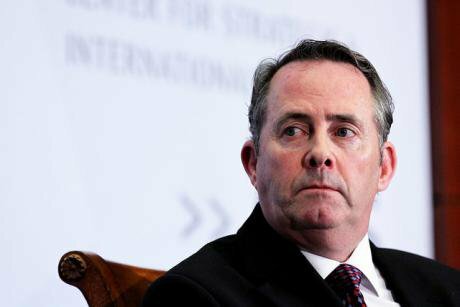 Former Defence Secretary Liam Fox. Flickr/CSIS. Some rights reserved. The problem doesn’t stop there. After the Fox affair, Sir Gus O’Donnell, Cabinet Secretary at the time, concluded in his report on the incident that publishing the details of official meetings was “critical in ensuring complete transparency on who ministers are meeting”. Although departments publish the details of ministerial meetings with external organisations on a quarterly basis, they’re often made available almost a year after the events they describe, in a format you can’t easily analyse, and with so few details as to be almost meaningless. There have also been questions raised about their accuracy. In short, there’s still not enough transparency about who ministers are meeting and what they’re discussing. Beyond lobbying-related data, there are wider data issues across the whole of the public sector. There was much fanfare when the coalition government committed to publishing the details of all public sector spending as open data. However, some key bits of detail are missing, like company identifiers, which mean trying to identify potentially suspicious activity is like searching for a needle in a gigantic haystack. Parliament, too, needs to up its game. The House of Commons’ Register of Members’ Financial Interests, which is supposed to tell you who’s providing your MP with gifts and hospitality, and what investments or potential conflicts of interest they have, is still being published as a PDF. This means finding out supposedly simple facts – like how much MPs earn from second jobs and who employs them – can take days, even weeks, instead of seconds. Ironically, the House of Lords publishes their register as open data – much more 21st century. For those who aren’t data geeks, you’re probably wondering “why does this matter?” Our research has shown that providing accurate, accessible and intelligible data about lobbying activity, public spending and how major decisions are made can help detect or deter incidents of corruption – incidents which can cost the taxpayer millions of pounds, and affect trust in politics and our public institutions. Publishing data like this is now being proposed as a way to clean-up FIFA. While it is not a silver bullet – those intent on committing criminal acts will still find ways to hide their activities – providing good quality, timely open data on the activities of public bodies and officials makes it much harder for corruption to hide in the shadows. The question then becomes “what’s the solution”? As part of its Anti-Corruption National Action Plan, the government has committed to engage with civil society to find ways in which data can help tackle corruption. Transparency International UK has proposed 45 changes the government and other public sector bodies could make to help implement this plan. These range from improving some of the data they currently publish, releasing new datasets for the first time, and changing the law to ensure the public can get hold of the data it needs to detect and deter corruption. We’ve also made three key recommendations that should be taken forward as a matter of urgency. Firstly, the government needs to ensure there is a dedicated authority that is responsible for ensuring open data standards and quality across all of the public sector. Many of the problems faced by anti-corruption and accountability activists working in this area relate to poor data. Although the government has appointed Mike Bracken as its Chief Data Officer, it is yet to be seen as to whether he will be given the resources and authority to ensure our nation’s open data infrastructure is brought up to scratch. Secondly, the register of lobbyists needs to be reformed. Without including in-house lobbyists, the registers only provide partial transparency about who is trying to influence government policy and decisions. And thirdly, the quality of related data, for example, meetings between lobbyists and ministers, needs to be improved to ensure the government is truly open. Whilst the temptation may be to leave these tasks until the next scandal erupts, as the old proverb goes: “prevention is better than cure”.